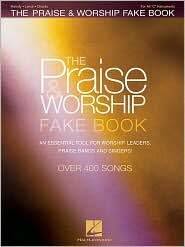 A great resource for worship leaders or anyone who loves today's praise and worship music. 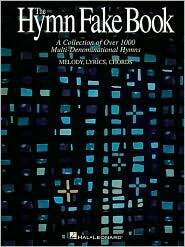 This book includes nearly 400 songs arranged for C instruments and many of them also include vocal harmony lines. There's a convenient index by key as well as the standard alphabetical listing and the whole collection is comb-bound so it stays open where you want it to. Songs include: Abide with Me · All Hail the Power of Jesus' Name · Amazing Grace · Battle Hymn of the Republic · Be Thou My Vision · Christ the Lord Is Risen Today · Come, Thou Fount of Every Blessing · Crown Him with Many Crowns · Fairest Lord Jesus · Faith of Our Fathers · For the Beauty of the Earth · Guide Me, O Thou Great Jehovah · How Firm a Foundation · It Is Well with My Soul · Jesus, Keep Me Near the Cross · Lead On, O King Eternal · Love Divine, All Loves Excelling · A Mighty Fortress Is Our God · My Hope Is Built on Nothing Less · O Come, All Ye Faithful · O for a Thousand Tongues to Sing · O Sacred Head, Now Wounded · O Worship the King · The Old Rugged Cross · Praise to the Lord, the Almighty · Rejoice, the Lord Is King · Take My Life and Let It Be · There Is Power in the Blood · To God Be the Glory · What a Friend We Have in Jesus · and hundreds more. 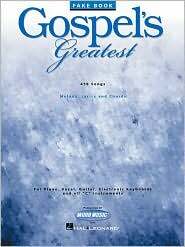 Songs include: Amazing Grace · At the Cross · Because He Lives · Behold the Lamb · Blessed Assurance · Church in the Wildwood · The Day He Wore My Crown · Give Me That Old Time Religion · He Looked Beyond My Fault · He Touched Me · Heavenly Sunlight · His Eye Is on the Sparrow · Holy Ground · How Great Thou Art · I Bowed on My Knees and Cried Holy · I Saw the Light · I'd Rather Have Jesus · In the Garden · Joshua (Fit the Battle of Jericho) · Just a Little Talk with Jesus · Lord, I'm Coming Home · Midnight Cry · Morning Has Broken · My Tribute · Near the Cross · The Old Rugged Cross · Precious Memories · Rock of Ages · Shall We Gather at the River? · There Is Power in the Blood · We Shall Wear a Crown · What a Friend We Have in Jesus · and hundreds more! 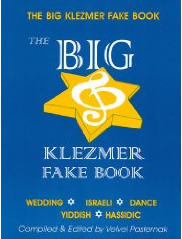 The leader in Jewish music, Tara Publications proudly presents The Big Klezmer Fake Book - the largest collection of Klezmer tunes ever, culled from more than 10 Tara music editions. It contains more than 175 selections, including Freylachs, Shers, Doinas, Serbas and more. 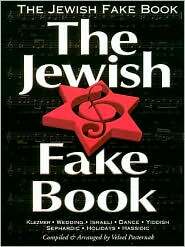 Also features traditional Jewish wedding songs and dances, and Yiddish and Hassidic selections. Includes melody lines, chords, transliterations, a bibliography and a discography. Adir Hu * Adon Olam * Am Yisrael Cha * Az Der Rebbe Zingt * Bashana Haba'a * Chad Gadya * Choson Kale Mazel Tov * Dayenu * Di Grine Kuzine * Dodi Li * Donna Donna * Eliyahu Hanavi * Freylechs * Hal'lya * Hunkah Blessings * Hatikva * I Have a Little Dreydl * Jerusalem Is Mine * Kol Nidre * Light One Candle * Ma'oz Tsur * Miserlou * Od Lo Ahavti Dai * Oifn Pripitchik * Papirosn * Rumania * S'vivon * Shalen Alechem * Sher * Siman Tov * Tsena Tsena * Ufaratsta * Wedding March * Yidn * Yossel Yossel * Zemer Atik ... and many more!